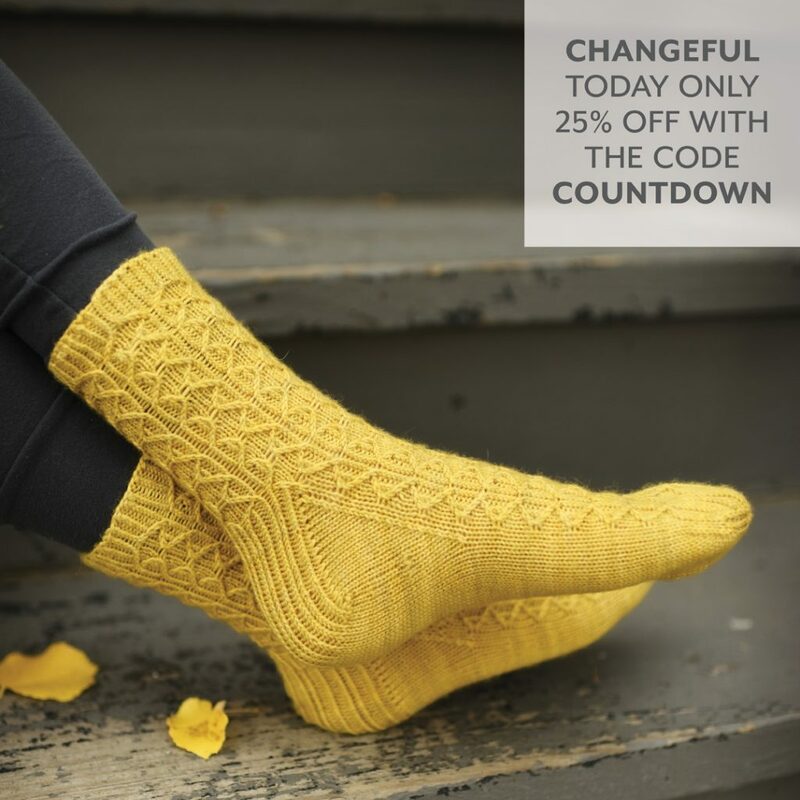 Today only, Changeful is on sale on ravelry for 25% off with the code COUNTDOWN. So you know how it’s so much faster the second (or third…or fourth…) time you knit a pattern? Yeah, we’re taking advantage of that here. There are three variations of these socks in the pattern. Each uses the same basic motif (so you can take advantage of that speed boost) but still give everyone something unique!